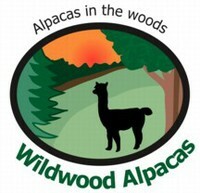 Fiber and temperament all wrapped up in one amazing alpaca! 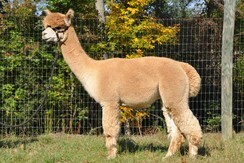 Lucas has very dense, crimpy, bundly fleece in a beautiful medium fawn, the son of two award winning parents. 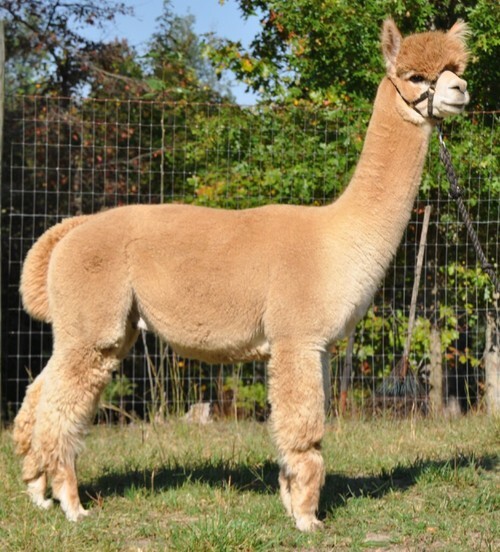 His dam, MFI Carinthia is an El Mustachio granddaughter, a Futurity Champion and took the blue at MaPaca in a highly competitive fawn class, with fleece noted as soft and dense. 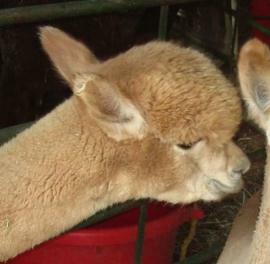 Luc's sire is the famous Dom Lucilio (now deceased) who needs no introduction. People who see Lucas immediately know who his daddy is! Check out Luc's histogram! Lucas is a very competent herdsire, showing the confidence and presence in the pasture that a true herdsire exudes. He can throw color. 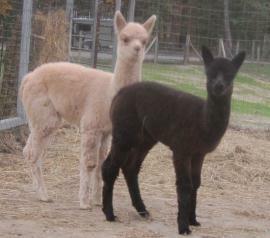 His crias range from beige through fawn to true black! 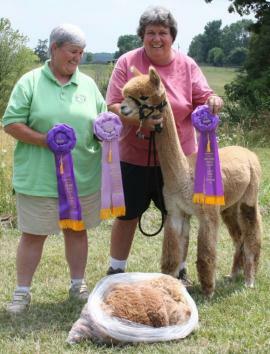 We do mobile breedings within 75 miles, too. One of our favorites.